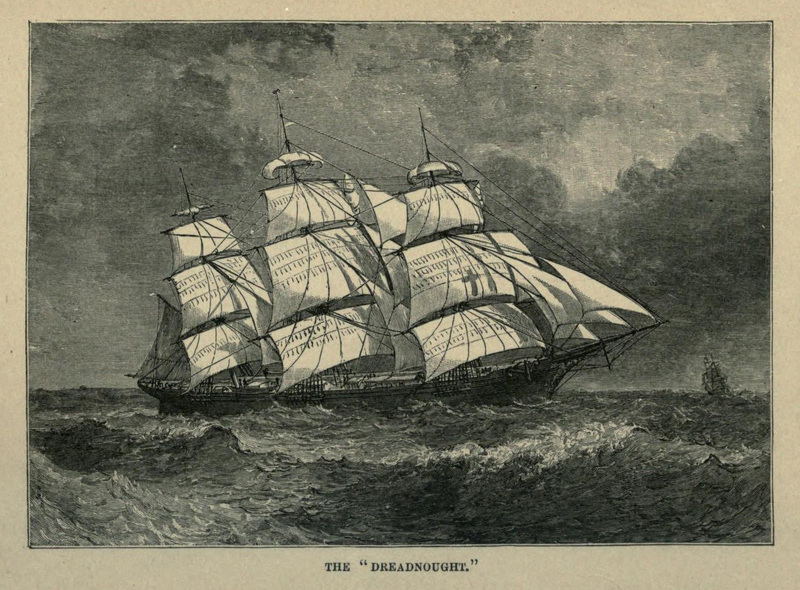 The Dreadnought (originally spelled with an “o”) was a famous packet ship that carried both goods and passengers (including many immigrants to the US) between Liverpool and New York in the 1850s and 60s. She was celebrated for her great speed. The song seems to be of American origin though it was no doubt modeled on similar English songs. Dean was one of many Great Lakes region singers who sang “The Dreadnaught” and it was also popular in the maritime provinces of Canada. The only version I have found from outside North America is one collected by Sam Henry from a Co. Donegal singer where the ship’s name has been changed to “The Zared” and the port of origin is “Londonderry” instead of Liverpool. 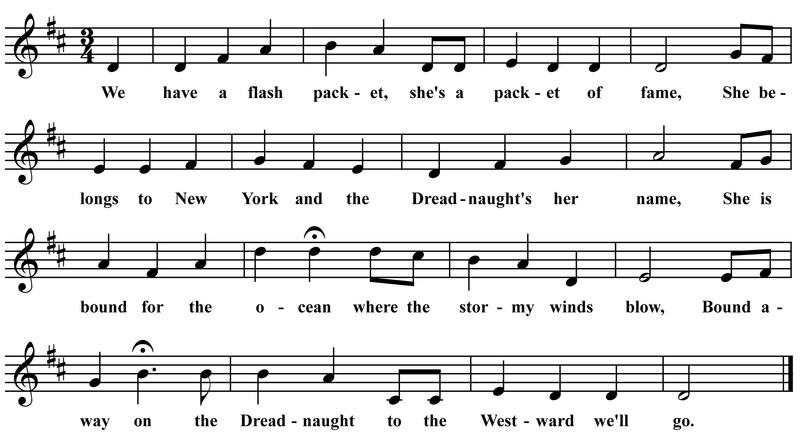 More info on this song available from the Traditional Ballad Index here.